Ashton Woods has had incredible success at its Atlanta new homes community of The Battery on Paces Ferry, with 15 homes sold in two months. Five homes were sold in July and 10 were sold in August. While presales are available, Ashton Woods Homes is building showcase homes in anticipation of more home buyers desiring a quick move-in. One home – the Logan – is already underway and is scheduled to be complete in October. Two Providence plans will soon be under construction for January delivery, and a Brighton plan will be build for February completion. 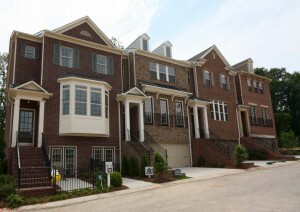 Each townhome at The Battery on Paces Ferry has traditional elevations with brick construction and detailed entry systems. Homes also come standard with two-car garages that include sheetrock finishes. Each townhome is energy-efficient, saving home buyers up to 45 percent on utility bills. The Battery on Paces Ferry community provides elegant homes in the historic Vinings area that are priced from the low $300,000s. Homebuyers can choose from several unique floorplans that range in size from 2,246 to 3,031 square feet and offer up to three bedrooms and two-and-a-half baths. For more information on this popular community, visit the Ashton Woods Homes website.